I have inherited an S40, 2005 with 112K T5 engine. 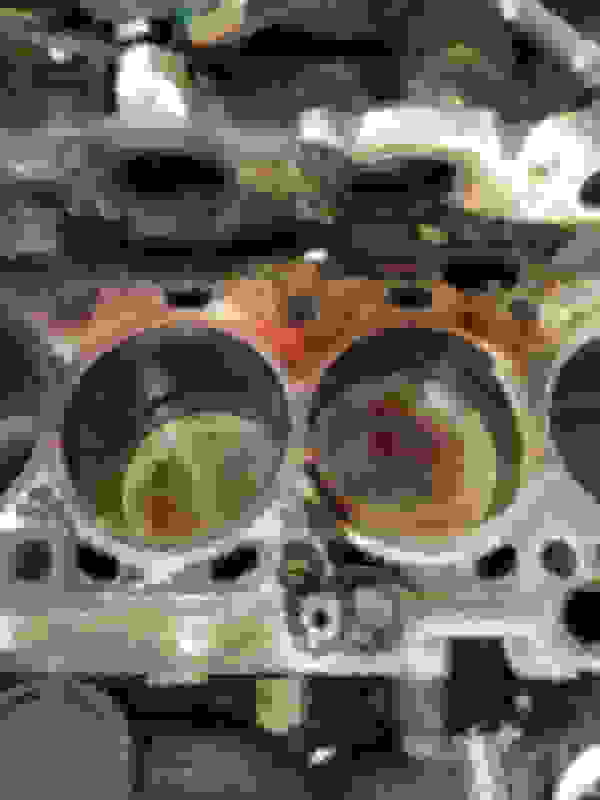 I have been going through the engine and at the point to replace the timing belt and assy's. I have everything ready to go back together, but I am not seeing any marks on the camshafts sprockets,gears. 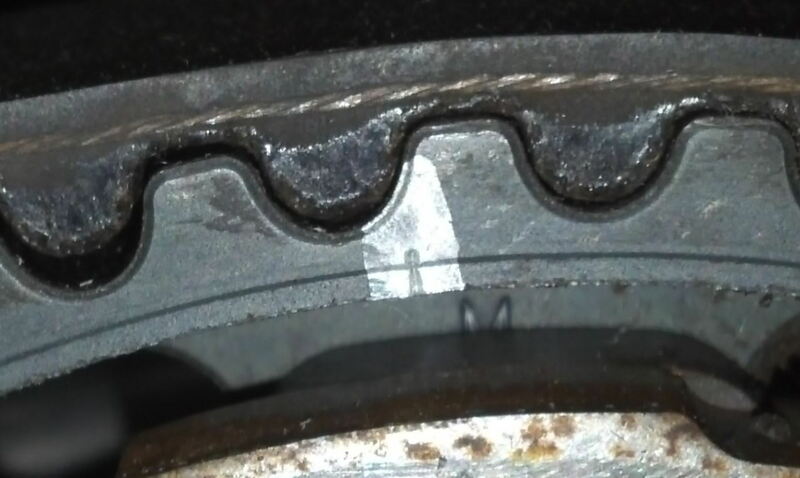 I do see the crankshaft mark and the timing cover mark. I dont have the camshaft locking tools, could really use some help getting this baby back up and running. Any help and or pics would be most helpful. There should be tiny little notches in the cam gears that align with notches in the plastic cover. It's really hard to find photos of this (at least for your particular engine) but I believe this is what you're looking for (the paint was added of course - your cam gear won't have that). Thank you for the pics....I have torn the engine down to the block. I just feel safer since I have gone that far, I found signs that the head gasket was gone from a overheating issue prior to me. Yeah, I'd say that the car had a head gasket issue... yikes. You might want to have those scratches in the left (in the photo) cylinder looked at by someone to see if they're deep enough to require a rebore. The scores are cosmetic if there is such a thing. 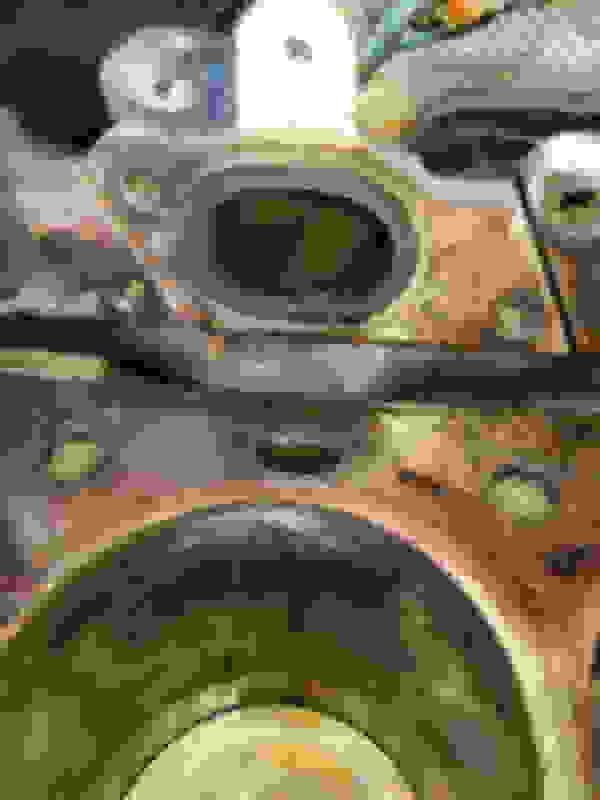 there is no feeling to them, smooth, I am going to push out the pistons and hone out the cylinders. Install new rings and bearings. I like the way you think! That's what I'd do if it was mine. And glad to hear that you can't feel those scratches. They look like they COULD be deeper than that, but I have no problem believing that a hone will take them out, either.